About The New 2010 Yamaha Jupiter Z 115cc, YMKI was no half measures the indulgence info, they explain in detail the outside in on this bike, until the smallest thing like a duck in the mouth tube Box Filter and valve stem diameter greater essentially complete. 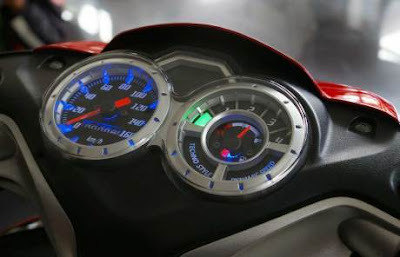 YMKI display engine also cuts dummy this new Z Jupiter. Even at the end of his press conference, Blogger and all the invitations that come to witness freely for the first look the 2010 Yamaha Jupiter Z 115cc. 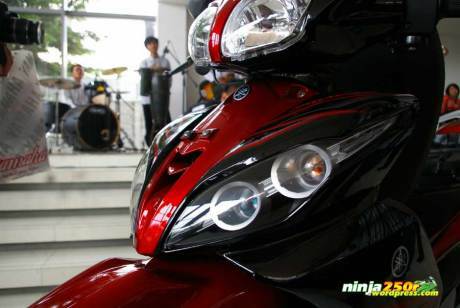 Although the line seemed to adopt a variant design for Foreign Yamaha Motor, but finally looks Fresh and Elegant enough. 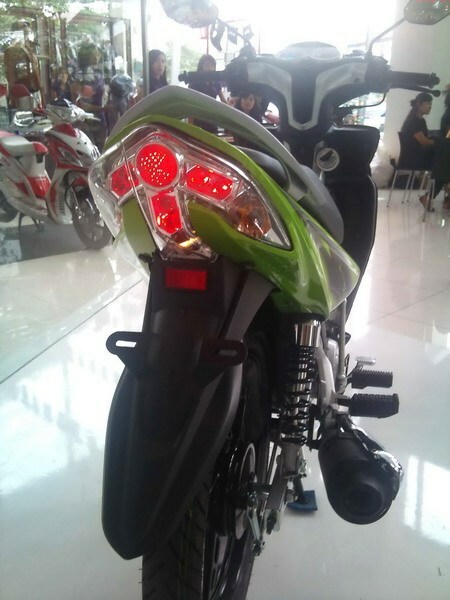 In Indonesia, for the 115 cc class motorcycles, Yamaha Jupiter Z is slightly more popular than other bikes.